Posted December 5th / December 2, 2017 / Woodside Neighborhood / Queens Holiday Events / Queens Buzz NYC. There's been a surge of holiday activities - which began just shortly before Thanksgiving Day - and which this past weekend went full throttle. And there's more to follow. The temperatures were unseasonally balmy, with the mercury level near 60 degrees on late Saturday afternoon, as I headed down to Woodside to cover the Woodside on the Move annual Christmas tree lighting. As I approached Sohcke Square I could see a crowd gathered along Woodside Avenue just east of 58th Street where the street had been blocked, and a stage had been erected. I shot a few photos while listening to the speaker and surveying the crowd. After a while I heard a marching band in the distance, and wondered how they fit into this event, as over the past decade a marching band had not been previously included as a part of the performances. As it turns out, there was a separate group celebration, which had put together a sidewalk parade, that included people dressed like the Biblical Mary and Joseph, who were followed by other marchers dressed up and carrying flowers followed by a sizeable marching band. I'll post a bit of video late today or on Wednesday. The children of PS 11, PS 151, PS 152 & PS 361 were scheduled to give musical performances, so I recorded a brief video of one of them, which I'll include with the video mentioned above. Anyhow, the kids and the parents all seemed to be enjoying themselves and the tree looked really good, possibly better than ever. The moon was shining high in the sky, as I made my way west to Sunnyside to view the festival on Skillman Avenue. Posted December 5th / December 2, 2017 / Sunnyside Neighborhood / Queens Holiday Events / Queens Buzz NYC. 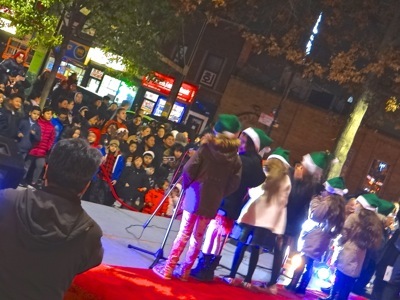 The 8th annual Skillman Holiday Lighting and 3rd annual Skillman Avenue Holiday Lights Festival began around 5 pm Saturday evening and ran until about 8 pm. A nine block stretch along Skillman Avenue, from 43rd to 51st Streets, had been cordoned off from vehicular traffic. And there was unseasonably balmy weather, with temperatures hovering between 50 and 60 degrees. As I made my way toward the festival, coming from Woodside [see above story], I looked down the hill noticing that all of the blocks along Skillman Avenue, except between 48th and 49th Streets, were largely empty. Ironically, it seems that traffic had been rerouted - possibly away - from the very businesses that this event had been designed to promote. 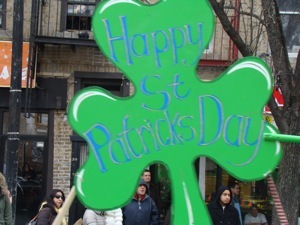 But that said, there was a healthy crowd gathered on Skillman Avenue between 48th and 49th Streets, with possibly as many as a couple of hundred people in attendance. This block is adjacent to the courtyard at Sunnyside Reformed Church, where the main stage was situated. CCM Jimmy Van Bramer took the stage and told us how he had kept a campaign promise by investing in the Skillman Holiday Lights eight years ago, and this year - which I believe is the third year of the festival - he had allocated $15,000 of taxpayer dollars to support this holiday event. NYS Senator Michael Giannaris greeted the crowd, mentioning that CCM Van Bramer was currently one of those in the running to be the City Council Speaker. Next up were the performers of the Titan Theater Company. The Titan Theater Company is the resident theater group at the Queens Theatre in the Park. 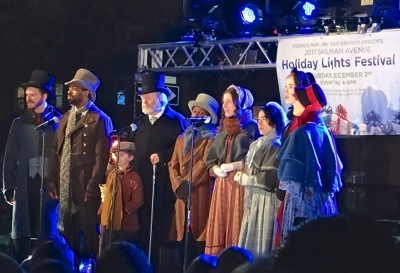 This year, from December 8 - 22, they will be performing Dickens' A Christmas Carol, so they treated us to a bit of the holiday performance fanfare, which I captured on video. The holiday music was so good that it just might put you in a holiday mood. I hope to post it late tonight or tomorrow. Enjoy. September 18, 2017 / Sunnyside Neighborhood / Film & Music Sunnyside Queens / Queens Buzz NYC. I headed down to Sunnyside Gardens Park to attend the 7th annual Flicks & Jazz in the Garden. The program started in 2011 as Flicks in the Garden featuring independent films, and morphed the following year into a kids film program - thanks to the curatorial efforts of an avid local animation film collector - Tommy Jose Stathes of Flushing. It was a warm clear evening and the moon was out. There were kids playing in the open yard and on the basketball courts. Along the southern walkway, filling the picnic tables underneath the tall London plane trees, there families and friends finishing their late afternoon and early evening repasts. In the main field there was a band playing at home plate. There were dozens of families spread out upon blankets - sitting, dancing and chatting up a storm - filling the baseball diamond and inner fields. I shot a short piece of video, which I'll post at a later date. In the photo at right you can see friends and families enjoying themselves under the London Plane Trees in Sunnyside Gardens Park. Later in the evening the animated films - or as we say in the gardens – flicks – were shown as the night descended upon us. Popeye the Sailor Man, with his goyle, Olive Oil, showed the kids what eating your spinach is all about. Big Sailor Man Muskles and of course winning the goyle, the tall slim Olive Oil. Another lesson embedded in some of Popeye's tales was that one shouldn't forget to look out after their old friends, like Wimpy, who will “gladly pay you Tuesday for a hamburger today”. The cartoon Betty Boop, is about a starlet who’s always been popular with men and women of all ages. 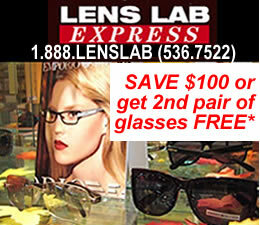 She made a special return appearance on a couple of the films at the park – even with the Emmy Awards only a day away. This is only a false rumor, but I heard that she might be an Emmy nominee this year. I had a chance to speak to Tammy Arnstein and Jennifer Porter, the two organizers of the event [see photo at right]. They told me that about 700 parents attended the event, and they were likely accompanied by half as many or more children [about 1000 total]. The cost of the event was $5 for members and $10 for non-members. 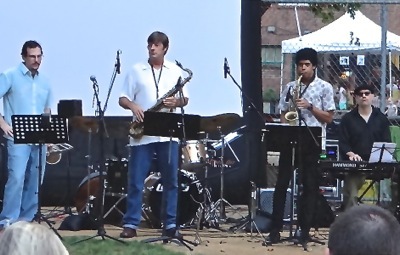 The Flicks & Jazz in the Garden event was open to the public, as Sunnyside Gardens Park has been a privately owned park since its inception in 1926. In the photo at right you can see numerous kids and their dads enjoying an opportunity to watch animated films at Sunnyside Gardens Park. There are currently about 500 [unconfirmed based on last estimate I received years ago] families which are park members and there is a long waiting list of families that want to become members. Members must live within a specified area in close proximity to the park the borders of which are posted on their website. There are park dues which costs hundreds of dollars per year [based on last published figure of years ago], and members must volunteer to help at a couple of events each year, like this one. Sunnyside Gardens Park is hosting six events open to the public this year. 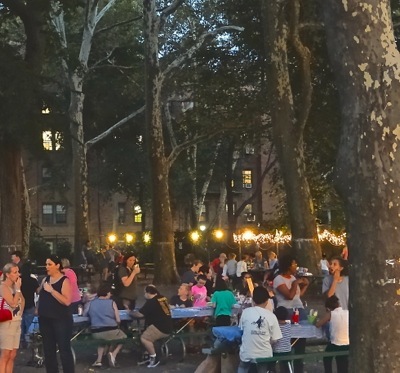 In 2017 the events open to the general public hosted by Sunnyside Gardens Park were: Queens United International in July, Shakespeare in the Park in July and August, a Yard Sale, and Flicks & Jazz in the Garden in September. And the next and final next event of the year that is open to the public at Sunnyside Gardens Park is Oktoberfest on Saturday, October 7th [rain date the Sunday October 8th]. August 8, 2017 / Sunnyside Neighborhood / Jazz in Queens / Queens Buzz NYC. So a week ago I took a walk 'On the Sunny side of the Street' as I ambled down to Queens Blvd at 46th Street to take in the music of the annual Bix Beiderbecke Concert. As I approached I could hear the music wafting through the hallowed halls of the #7 train tracks. There was a full crowd at the 46th Street Plaza where kids were dancing to the jazzy tunes alongside a couple who knew their steps. The weather was nearly perfect, in the low 80's and not too humid. 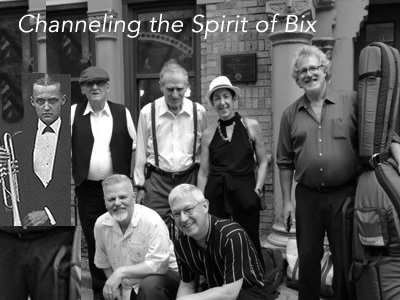 In the photo at right, standing in front of the building on 46th Street in Sunnyside where Bix spent the last few months of his life, are [from left to right] drummer Paul Maringelli and trumpeter Jordan Sandke in the first row, and cornetist Bix Beiderbecke [brought back to life], clarinetist Joe Licari, pianist John E. Halsey, saxophonist Carol Sudhalter and bassist Fred Berman [Harvey Tibbs is not present] in the second row. All of the musicians are accomplished in their own right. In addition to playing with the Sunnyside Wolverines - a band formed by drummer Paul Maingelli and named after Bix's band the Wolverines - each musician performs either individually or with other collaborators - quite frequently around the NYC metro area, as well as further afield. I'll include their contact information at the end of this report, in the event you're looking for (a) musician(s) to perform at a party or event. On the Sunnyside of the Street was one of the last tunes played by the group on this balmy summer evening. The tune was first played as part of a 1930 Broadway Musical, just a year before Bix passed away on August 6, 1931. The group also played the tunes from the last of Bix's final recording session, which was made during the last year of his life. Bix's life started in Davenport, Iowa in 1903. In his teens Bix taught himself how to play the cornet. He started performing for the public soon thereafter, including on Mississippi River boats which had become big entertainment venues. By the time he was 20, Bix had become a famous jazz musician performing in jazz towns like Chicago and Detroit. In the photo above right you can see the crowd enjoying the Bix Beiderbecke concert which was sponsored by the Sunnyside Shines BID. In the photo below right you can see the Mississippi River near Davenport, Iowa where Bix grew up. The latter photo compliments of trumpeter Jordan Sandke. 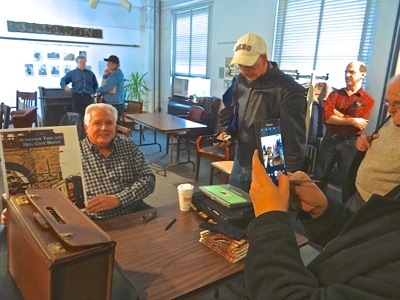 Click here to read the rest of the story, including photos from Davenport, Iowa where Biz was born, and a short video of the Bix Beiderbecke concert in Sunnyside, Queens. July 23, 2018 / Queens Neighborhoods / Free Summer Theater in Queens / Queens Buzz NYC. This report includes a list of some of the free things to do in Queens this summer, including free theater in Queens parks. Click here to view a listing of the dates and times of free summer theater in Queens - Shakespeare in the Park. 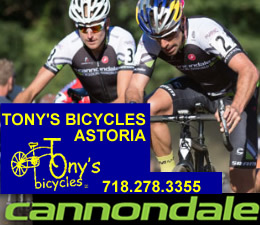 May 16, 2017 / Sunnyside Neighborhood & Woodside Neighborhood / Sunnyside Restaurants in Queens / Queens Buzz NYC. On what might be called a whistle stop tour that we took through a few of the participating restaurants and beverage providers, who will be serving attendees at the Taste of Sunnyside 2017 next Tuesday, May 23rd. 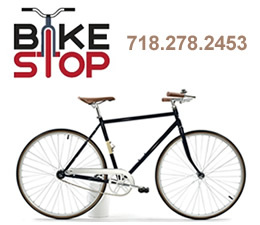 As we all know, Sunnyside has been changing at a fairly rapid rate, and the neighborhood restaurants now represent of an even more eclectic mix of modern and ethnic cuisines, that is serving a steadily changing residential population as well. 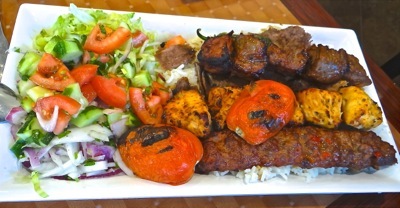 In the photo at right is a platter of lamb, beef and chicken kebobs served by Mangal Kebab on Queens Blvd near 47th Street. The Sunnyside Shines Business Improvement District [aka BID] is hosting its 8th annual Taste of Sunnyside to give longstanding and new residents an opportunity to sample the fare of some twenty of the new and well established restaurants participating in it, for the price of what it would cost to sample just one [$40 general admission & $70 for VIP]. The event also features seven beverage purveyors including some of the local micro-breweries, a vintner, a cider maker and the historic Lowerys Wine & Liquor store. And there will be live entertainment as well. So All Aboard, as I take you along on an abbreviated preview tour to give you a sampling of some of what you might expect to encounter - should you climb aboard the culinary choo choo train next week. Sunnyside Shines BID Director, Jaime-Faye Bean was our hospitable hostess and conductor. 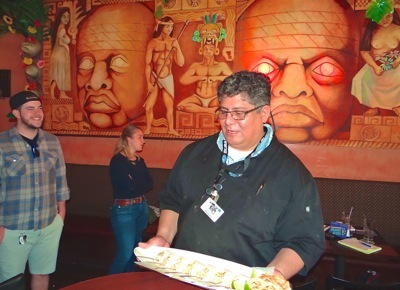 In the photo at right is Luis Munoz serving a platter of fresh esquites at Arriba Arriba on Queens Blvd near 40th Street. Our first stop was Old Mexico, the land of the Aztecs & Mayans, at the Arriba Arriba restaurant on Queens Blvd near the 40th Street / Lowerys subway stop. Click here for a sample preview of some of the tastes that will be served at Taste of Sunnyside 2017. May 23, 2017 / Sunnyside Neighborhood / Sunnyside Restaurants / Queens Restaurants / Queens Buzz NYC. I had the opportunity to attend the eighth annual Taste of Sunnyside on Tuesday evening last week. I arrived right on time for the General Admission tickets and was soon let in under the big tent. Music was playing in the background as I started to make my way to the food and beverage tables lining the tent walls. It was slightly dark inside the tent, but the walls along the side had been opened to allow guest diners to make their way to the picnic tables lining the outer perimeter of the tent. Unlike in prior years, this year groups of people started gathering at the tables in large, casual groups - possibly because the corridors leading to the tables were more apparent - and it seemed like there were more tables made available for guests. 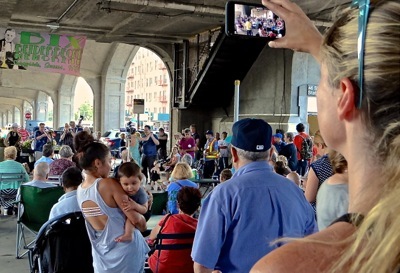 In the photo at right you can see Sunnysiders enjoying themselves along the outer perimeter of the Taste of Sunnyside tent, underneath the #7 subway line at Queens Blvd and 46th Street. The great benefit of this was that it had the effect of opening up the crowd flow in a very favorable manner, and enabled more moving around from serving table to serving table to sample the food and beverages that the Taste of Sunnyside had to offer. 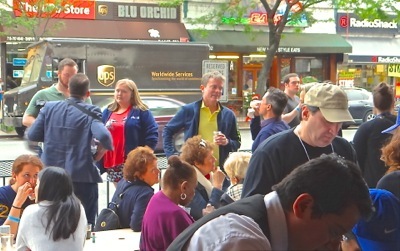 It also enabled more mingling in between the samplings. The extra space was a good thing too, because the local bands that came to perform made people want to move with the music. In the latter part of the evening there was a Latin Jazz band, the afro-latineers, that kicked up one helluva dance storm at the far end of the tent … or so it seemed. The net, net of it all was good food and drinks and music and people - which translates into one helluva Sunnyside party. Naturally I met some people I knew, and also some people I didn’t know ... until this night. In the photo at right you can see some of the food and beverage tables where people were sipping, munching and mingling. To be continued later this week, with a photo slide show and a video. April 27, 2017 / Sunnyside Neighborhood / Queens Politics & Government / Queens Buzz NYC. 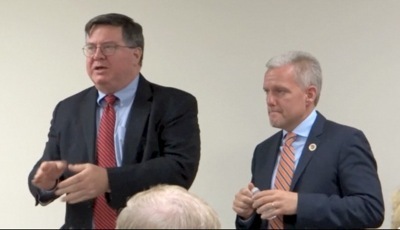 I attended a town hall given by Mayor de Blasio in tandem with NYC Councilmember Van Bramer. I had rsvp'ed for a ticket along with hundreds of other residents, to hear what the Mayor and the CCM had to say. I arrived a bit after the event had started, as CCM Van Bramer was concluding his introductory remarks. Mayor de Blasio then took the spotlight, talking briefly about his Administration's successes in improving the public school system, increasing affordable housing, a continued low crime rate while nearly terminating stop 'n frisk, and a balanced budget [see Mayor de Blasio State of the City for details]. 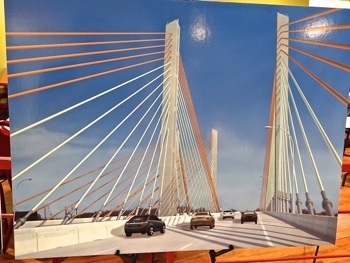 But the Mayor acknowledged that his Administration has miles to go before they can rest, in spite of making significant progress in these major areas. 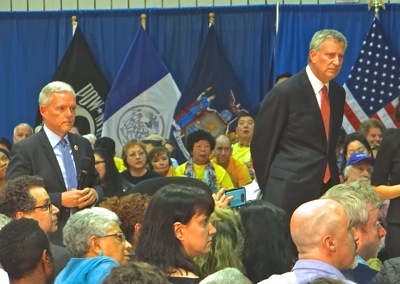 De Blasio kept his remarks short before opening up the town hall to questions by residents. The questions included queries about affordable housing. The Mayor noted that he lobbied Albany hard to get the 0% rent increases on stabilized apartments the past two years, and that his administration has made progress in creating new affordable housing units, but he acknowledged that many New Yorkers are still struggling to pay the rent. So he said there's more to do in adding affordable housing units and in creating decent paying jobs - including something already done, which is the raising of the minimum wage. Another question was about the lagging investments the city has made in its transportation infrastructure for many years, noting that the MTA is running at near capacity on the #7 subway line during rush hours. The Mayor said they were trying to address the problem by adding bus service, and adding ferry service, but that the MTA is controlled by New York State, so he has significant influence, but that the Mayor's office is not in control. The city contributed $2.5 billion to the MTA budget last year. Another question was about how one is supposed to handle the downside of gentrification, meaning the noise, filth and obstructions associated with a neighbor doing construction / renovations. The Mayor said there are laws which govern what people can and cannot do and that the city has an agency which looks into these issues / complaints. The woman said she'd contacted the agency [not sure whether it was the Department of Buildings - a good starting point is to dial 311 if you have such issues], but that she wasn't having much success. One of the people from that agency was there, so he talked a bit about what they can do and he followed up with her. The town hall was scheduled to go on as long as people had questions, so I stayed only for a while to get the flavor of the event before departing. January 16, 2018 / Sunnyside Neighborhood & Woodside Neighborhood / Sunnyside News & Woodside News / Queens Buzz NYC. 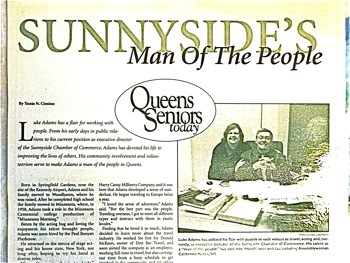 This section contains News Briefs about Sunnyside and Woodside done beginning in 2008. They represent brief snapshots of community events that have taken place over the years. 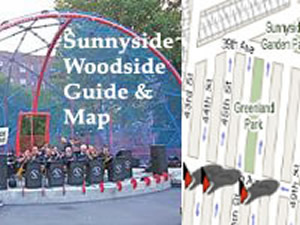 CLICK here to view a section dedicated to news of the Sunnyside neighborhood & Woodside neighborhood over the years. Fall / Sunnyside / Sunnyside Restaurants / Queens Buzz. It was a rainy evening as I headed down to the third annual Taste of Sunnyside at the Sunnyside Community Service Center on 39th Street. I looked forward to seeing what new restaurants and people I would encounter - as the restaurants that participate in the Taste of Sunnyside change from year to year. The main hall seemed less crowded than last year, due in part because the large sit down tables had been moved out to make more space. This had the effect of allowing people more room to mingle; but you pretty much had to stay on your feet throughout most of the event. The crowd that had gathered was ethnically diverse, somewhat youthful and hungry. Click here to view our report on the Taste of Sunnyside Restaurants. 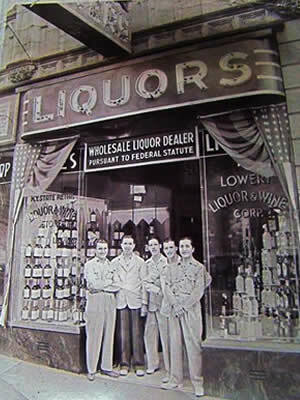 Sunnyside / Wine in Sunnyside / Sunnyside History / Queens Buzz. On June 22nd the Queens Park Commissioner, Dorothy Lewandowski and Sunnyside NYC Council Member Jimmy Van Bramer announced the re-opening of what most of us know as the Lou Lodati Playground in Torsney Park in Sunnyside. Over the past two years, a number of renovations have been made to renovate the park facilities, and a dog run was added to accommodate a growing dog population in the Sunnyside neighborhood. November 7, 2012 / Woodside Neighborhood / Restaurants in Queens / Queens Buzz. I attended the first annual Taste of Woodside tonight, in spite of the snow that began falling late this afternoon. 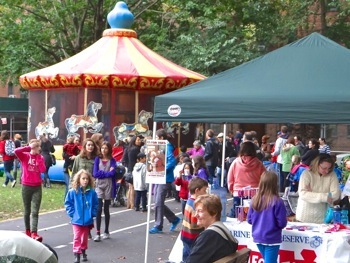 Naturally the weather, particularly in the wake of Hurricane Sandy, dampened the turnout. But it also left more food and space for those of us who did attend to horse around; like the two charming young women shown in the photos above. The proceeds of the Taste of Woodside event go to Woodside On The Move, the event sponsors. 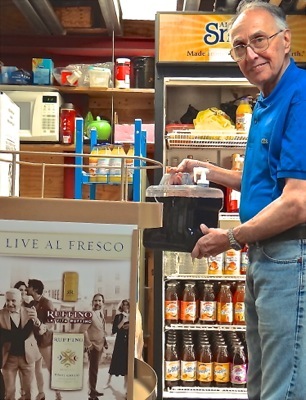 Woodside On The Move is a non-profit community based organization dedicated to improving the lives of the people living within the Woodside neighborhood - and sometimes beyond – such as in the case of their Hurricane Sandy relief effort. Over twenty restaurants, cafes and bars had signed up to participate in the event. But eight of the restaurants were unable to make it, due to issues related to the inclement weather. I’m happy to report that I managed to taste the food from nearly all of the participating restaurants [missed two of them]. 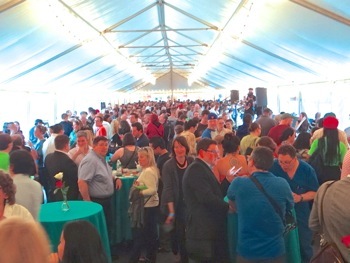 Click here to read our report and view photos of the Taste of Woodside 2012 which will be posted sometime within the next couple weeks. October 26, 2015 / Sunnyside Neighborhood / Sunnyside Real Estate / Queens Buzz. I attended a town hall regarding a real estate development proposal put forth by the Phipps Houses organization. The Phipps Houses organization is a non-profit dedicated to building and managing affordable housing. 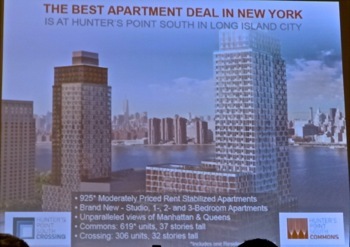 They have a number of sites including the Phipps Houses in Sunnyside and they are partners with the Related Companies in the real estate development at Hunters Point South. The meeting was a voluntary first step taken by the Phipps Houses organization to gather community feedback and engage with the neighborhood regarding a proposal to use the land they own that is across Barnett Street behind the Phipps Houses in Sunnyside. 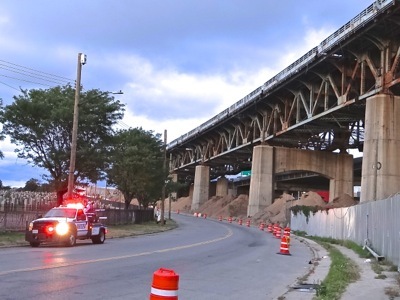 The strip of land is currently occupied by a parking lot which stands adjacent to the LIRR railway tracks. The proposal is in its early stages and at this point in time we were told that nothing is in the works formally - meaning no proposal has yet been officially submitted for government review. To build the 200 unit apartment complex, they need to request a zoning change from the city and thus would have to go through the Uniform Land Use Review Procedure [ULURP] which can be lengthy and fraught with tension if the neighborhood is not, in some measure, on board. What follows is an account of the presentation and discussion that took place Monday night October 26th, 2015 at the Phipps Houses in Sunnyside. The report includes a 7 minute video with highlights from the meeting which includes imporant points, some tensions, and a bit of laughter. Click here to view the rest of our report on the proposed Phipps Houses real estate development in Sunnyside Queens. 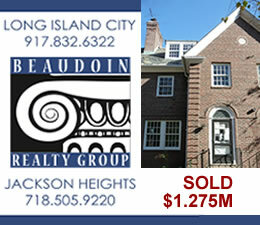 April 13, 2011 / Sunnyside & Woodside / Sunnyside Real Estate / Queens Buzz. 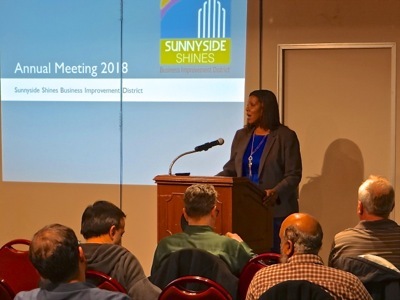 Queens Borough president Helen Marshall highlighted the effort to re-zone Sunnyside and Woodside in her State of the Borough Address this winter. 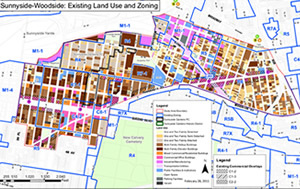 Following the release of the proposed zoning changes on February 28th, I spent time studying the proposal to re-zone the Sunnyside and Woodside neighborhoods and followed up with a representative of the NYC Department of City Planning to be sure I properly understood the proposed changes. It's worth mentioning that the rezoning changes were recently approved by Community Board 2, about two weeks ahead of deadline. Click here to view the timetable of the Sunnyside & Woodside zoning proposal and to read the rest of our report, which includes a brief zoning history, and a summary of existing and proposed zoning changes including diagrams and photos. May 24, 2016 / Sunnyside Neighborhood / Queens Food & Wine / Queens Buzz. 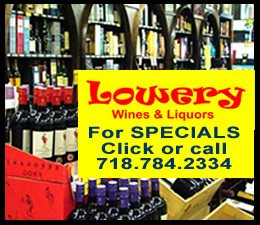 On Tuesday afternoon on my way home from a gig, I found myself stopping in at Lowerys Wine & Liquors for a brief hello. Lowerys has long been an institution serving the Sunnyside community, and I found Owner Anthony Lodati and Manager Janet Rios hard at work, preparing for the 7th Annual Taste of Sunnyside, which was to be held later in the day. Along the casked walls there was an ample selection of wines, and I found Anthony moving about the store like a sommelier in pursuit of a mix of wines for the evening. Meanwhile, back in the office and staging area, I found Janet preparing party favors for the event, which were to be gifted at half-hour intervals, during the Annual Sunnyside Taste 2016. As they were both pre-occupied, I shot a few photos and continued my journey home. Later that afternoon, I headed over to the Taste of Sunnyside, for a few nibbles and sips. 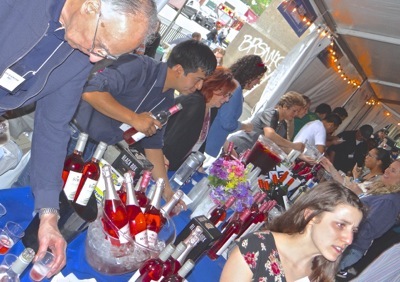 This year the Taste of Sunnyside featured seven beverage companies and 25 Sunnyside restaurants. 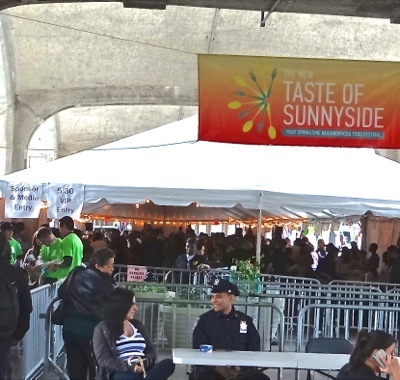 The Taste of Sunnyside 2016 is in its 7th year, the first of which started at Queens Boulevard and 39th Street in 2010. The intent of the Taste of Sunnyside event is to raise awareness of some of the restaurants and beverage companies serving the neighborhood, while simultaneously raising funds for the Sunnyside Shines Business Improvement District [BID]. The Sunnyside Shines BID’s mission is to promote a specified commercial district of the neighborhood running from about 50th Street down to about 38th Street along Queens Blvd and the eastern section of Greenpoint Avenue through a combination of area maintenance and business enhancement services. 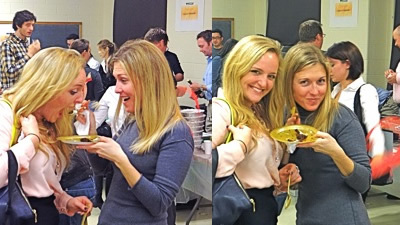 Click here to read the rest of the story about the Taste of Sunnyside 2016 with photos & video. March 14, 2016 / Woodside Neighborhood / Art Scene in Queens / Queens Buzz. Last weekend I attended the opening reception at Topaz Arts in Woodside for Case Studies, which is an exhibition of contemporary collage, assemblage, sculpture & installation. 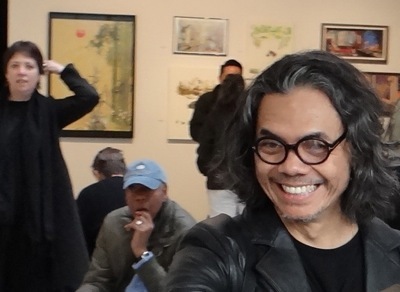 The exhibit features five artists - Joseph Paul Fox, Ged Merino, Orange, Roger Rothstein and Junko Yamada who exhibited a variety of contemporary works. I arrived around 3 pm on a beautiful sunny Saturday afternoon. The temperature was in the 60’s and the door was wide open, welcoming the fresh Spring air and guests into the art gallery in Woodside. Along the front window there was a table of hors d’oeuvres and wine, while along the walls of the gallery were very neatly partitioned exhibits by each of the five artists. The inspiration for the exhibit was an influential American artist, Joseph Cornell [1903 – 1972] who lived and created his artworks in Queens. Cornell was a pioneer in assemblage art and considered by many to be a Surrealist. He shunned the Surrealist label however, believing Surrealist artists’ works alluded to black magic, while his referenced his own private, poetic world using found objects. By the 1930’s he was a well-known New York assemblage artist, and appeared in numerous New York City metro art exhibits, including at the [then] new Museum of Modern Art in Manhattan. Click here to view the rest of the story including photos and video about the new art exhibit, Case Studies, at Topaz Arts gallery in Woodside, Queens. 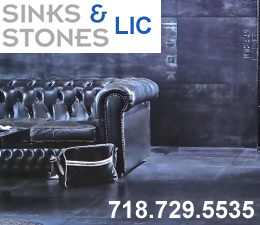 November 16, 2015 / Woodside Neighborhood / Woodside Restaurants / Queens Restaurants / Queens Buzz. 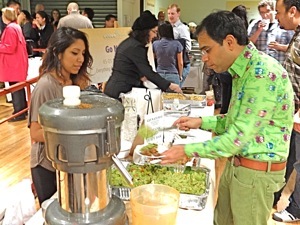 On Thursday I made my way to cover the Taste of Woodside at Gulshan Terrace at 59-15 37th Avenue in Woodside. It was a dry, pleasant November evening as I arrived along with a host of other attendees. Inside the Gulshan Terrace event hall there was a bar off to the left and the ticket table off to the right. Straight ahead was a large open space that was populated with tables and chairs and an elevated stage. And off to both the left and right were the serving tables of the restaurateurs. I felt like I had arrived at the wedding reception of a young couple … but I had not. Instead I was greeted by a young-at-heart couple of Woodside on the Move Board Members. Jim Daley wasted no time in making me feel quite welcome and Joanne Smith made me feel right at home … like I was one of the family. Before they had become too dispersed, I was able to gather the full Woodside on the Move Board for a photo, which is included at the end of the report next to the thanks and appreciation section. This was the fourth annual Taste of Woodside, and tonight I would have the opportunity to sample the food of fifteen restaurants from Woodside. But alas, I was not able to sample all of them in the allotted time. What follows here is a brief sampling of the foods I was able to sample at the Taste of Woodside. I have included a few photos of the fifteen Woodside restaurants at the Taste of Woodside and a video of the music performed by an all female Mariachi band. November 10, 2015 / Sunnyside Neighborhood / Sunnyside Shopping / Queens Buzz. Sunnyside Artists, a local arts group, organized a crafts fair at the Queen of Angels Church on Skillman Avenue. There were just shy of 40 artists and crafts(wo)men with booths at the show. I arrived late afternoon as things were winding down and had a chance to talk to the folks about their work. There were folks there selling all kinds of orginal works and handmade crafts. For example a seamstress who made cloth dolls that would give Raggedy Ann a run for the money. Handmade purses that would make even Gianni Versace envious. florists whose artistic breadth knew no bounds. Handmade wooden trains that Gepetto [Pinocchio's father] would buy for his son. Illustrators whose work is on a par with that of Spiderman creator Stan Lee. 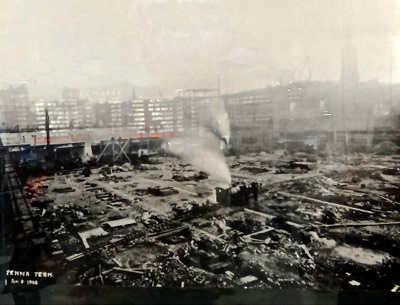 Photographic works that make Rembrandts out of local scenes. And ceramics that would have made the Grecian potters stand in awe. And all on sale for a mere pittance of their worth. 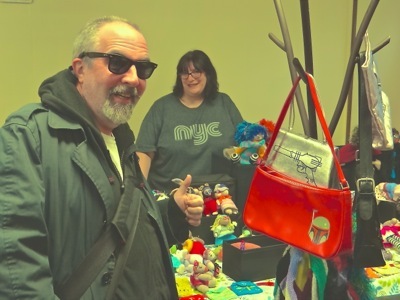 Click here to enter the entertaining world of the Sunnyside Artists Crafts Fair via a video time warp. September 28, 2015 / Sunnyside Neighborhood / Jazz in Queens / Queens Buzz. 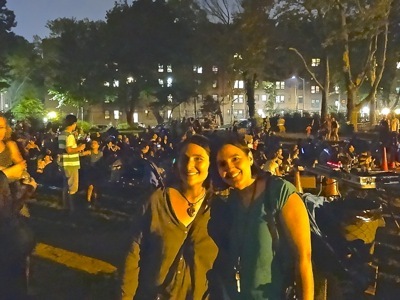 I attended the fifth annual Flicks N' Jazz in the Garden in Sunnyside Gardens Park. In prior years I had written several stories about the film portion of the program, so this year I decided to focus on the new addition to the event moniker … jazz. Sunnyside is home to quite a number of jazz musicians, and the neighborhood periodically gets to enjoy listening to these talented performers for free or only a few dollars. The Bix Biederbecke concert in August is one such occasion, and the Flicks N’ Jazz in the Garden is another. In the first year of Flicks in the Garden , Sunnyside Gardens Park had set up the screen in an area near the park entrance. Phil Valenti and the Broken Hearted Blues Band was the first band to play for the Flicks event. They were, in a sense, the warm up band or the preamble for the Flicks in the Garden event. Their bluesy tunes were a big hit with the crowd. Phil Valenti runs Go Natural Health Foods and Juice Bar on Queens Blvd between 45th and 46th Streets. Click here to read more about Flicks N' Jazz in the Garden & see video of Wake Up! including members of the Street Beat Brass Band. August 10, 2015 / Sunnyside Neighborhood / Music Scene in Queens / Queens Buzz. It was a warm, dry, August afternoon as I made my way to the newly christened Luke Adams Way just off Queens Blvd at 46th Street. 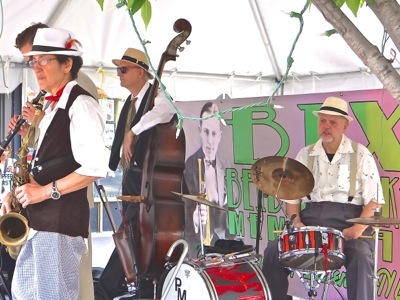 I was looking to take in a bit of summertime jazz at the 14th annual Bix Beiderbecke Jazz Festival. I had met Paul Maringelli - a graphic artist by day and musician at night - many years ago, when I first heard of the concert. He had been living in Sunnyside for quite some time before he one day stumbled upon the fact that Bix had once lived within a stone’s throw of his own home. For those who know Paul, he’s the inquisitive type, and has a penchant not just for music, but also for history, so he did a bit of digging to learn moreabout Bix Beiderbecke and about the time Bix spent living in Sunnyside. That's Paul playing the drums behind Saxaphonist Carol Sudhalter and Bassist Dave Hofstra in the photo above. Paul started talking to musicians about doing something in honor of Bix and about 14 years ago, they held a memorial on the anniversary of Bix’s death outside the apartment building where Bix had once lived - and as fate would have it - also died. There were a few musicians in the audience at the time and they played a short tribute to Bix. That was the beginning of what has now grown to become the annual Bix Beiderbecke Jazz Concert / Festival. Following that first commemoration, Paul contacted local organizations in search of sponsorship for the event and the Sunnyside Shines Business Improvement District stepped in to help fund it. On this warm August afternoon, I was looking forward to listening to some of the finest jazz musicians in Queens and New York City. Paul Maringelli had sent me an email giving me a heads up. Here’s an excerpt where he describes his fellow band members. Click here to read the rest of the story including a 3 minute Bix Beiderbecke Sunnyside Jazz Festival music video of an old jazz tune. 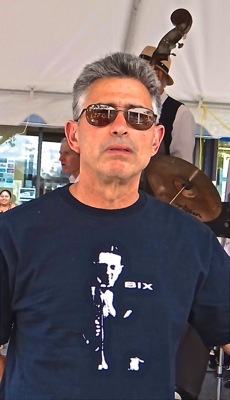 In the photo above, a longtime Bix fan wearing one of the T-shirts that were part of one of the early concerts. 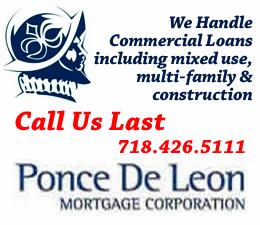 April 20, 2015 / Sunnyside / Queens Real Estate / News Analysis & Opinion / Queens Buzz. Click here to view our first report about Sunnyside Yard which provides a brief history of the development of transportation and real estate in Queens in the 19th and 20th centuries. Click here to read our second report about Sunnyside Yard which provides a far more in-depth history of the real estate development and transportation in the 20th century. 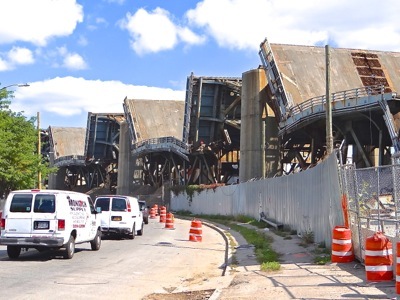 On this leg of the journey in our report series on Mayor de Blasio's proposed development of Sunnyside Yards, we take a more in-depth view of the history of real estate development of the air rights of rail yards in New York City. So with no further ado, let's continue. William J. Wilgus who coined the phrase "taking wealth from the air" as it was he who first proposed monetizing the air rights of New York Central and Hudson River Rail yards, which ran north from Grand Central Terminal along what is Park Avenue today. This was an example of the ingenious thinking of the time, as he leveraged a new technologies, by electrifying the rail system, lowered the rail tracks and built platforms over them. I took the photo above right, of what I believe to be a 1902 graphic of his vision, which I found at a public exhibit in Midtown. We return to the dawn of the 20th century, when horses and carriages were still one of the primary modes of inner urban transit, but this transportation mode would relatively quickly be replaced by the expansion of the trolley car system and eventually subway system in New York City. 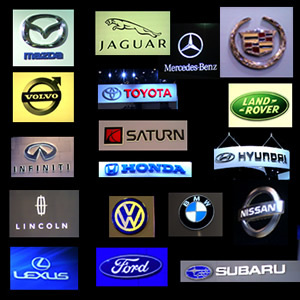 In 1900, according to historian Dave Lawyer, there were only 8,000 automobiles in the entire nation. Overland transit between cities was a mix of horses and carriages and the rail roads, but over the course of the 19th century rail roads had become the most reliable means of long distance overland transit. Lawyer says that in 1900 there were 200,000 miles of steam rail and 14,000 miles of electric rail ways which were primarily for street cars and rail ways serving urban areas. Transportation by water, which for millenia had been the most viable means of long distance travel between states and towns, continues to this day to play a role in long distance transit - although these days primarily of the transportation of goods. 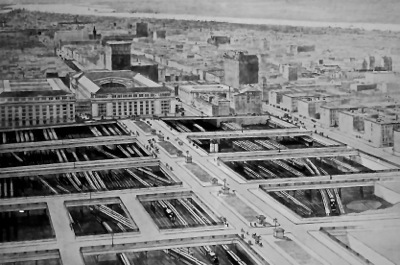 The photo at right shows the Penn Station rail yards circa January 1908 as plans for its erection over the rail yards were getting underway. Pennsylvania Rail Road built Penn Station which was opened to the public two years later in September 1910. The station, one of the great New York City landmarks, was demolished amidst much public furor beginning in late 1963. We'll continue with our report series about Mayor de Blasio's proposal to develop the air rights over Sunnyside Yard a bit later today or in the week. November 24, 2014 / Sunnyside Neighborhood / Queens Culture / Queens Buzz. I attended the fourth annual Thanksgiving Dinner hosted by the Sunnyside Reformed Church. The purpose of the feast is to commemorate the Thanksgiving holiday and to celebrate community. Reverend Neil Margetson and his wife, Gretchen, hosted the event along with the help of the Elder Vice President Marie Joyce and many others in the community [see slide 8 of the photo slide show]. The culinary crew, creators of the repast, included Chris and Karen Demarecaux who were ably helped by David Feffer [see slide 6 of the photo slide show]. There were a host of other helpers who set up the chairs and tables and attended the serving line. Reverend Margetson remarked that "Folks just chipped in and it all came together". In the neighborhood of one hundred and fifty people came to celebrate the holiday, enjoy a good meal, and to socialize with others in the community. It was a record turnout for the event. The reverend started the feast with a prayer and the dinner was followed with spirited conversation. In the past the dinner has been followed by story telling and / or musical performance. The next event is the ecumenical tree lighting on Thursday December 4th at 7 pm starting outside the church with a procession down to Queen of Angels Catholic Church followed by an appearance by Santa with hot chocolate and cookies. It's ecumenical because five neighborhood churches will be participating including All Saints Episcopal, the Grace Fellowship Presbyterian and the Christ Lutheran Church in Woodside. Reverend Margetson said that the Sunnyside Reformed Church is working to build a spiritual community through the hosting of cultural events. 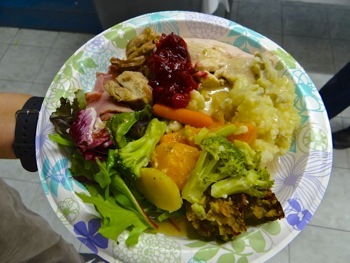 Click here to view a slide show of the Thanksgiving Dinner photos at the Sunnyside Reformed Church. And click here to read a story about the Sunnyside Reformed Church. November 17, 2014 / Woodside Neighborhood / Art In Queens / Queens Buzz. On Wednesday I attended a performance of the Theater of the Oppressed NYC at Topaz Arts in Woodside. 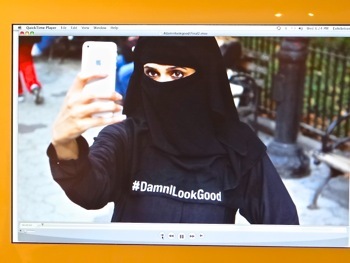 The performance is one of a number of artistic and theatrical programs organized in conjunction with a year long effort entitled, Beyond Sacred: Unthinking Muslim Identity, by the LaGuardia College Performing Arts Center. October 13, 2014 / Queens Neighborhoods / Queens Ethnic Culture / Queens Buzz. Sunday evening I was walking home along Queens Boulevard in Sunnyside. Near 42nd Street one of the buildings was all lit up and a small group of people were standing outside conversing. I could tell by some of the signage that this was the Hindu celebration of Durga Puja so I asked if I might take a few photos and talk to some of the people. And the folks from the Bangladesh Puja Samiti of New York cordially invited me in. There were two floors of activity. On the top floor there was a musical performance in process. 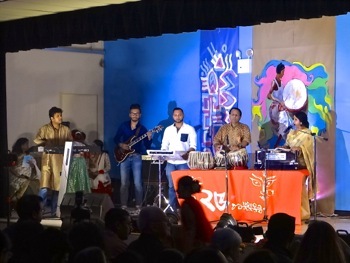 It was a Bangladeshi group playing traditional Hindu music with a female vocalist singing the beautiful operatic songs similar to those heard in the Hindu movies. The room was filled to capacity, with entire families sitting together enjoying the music. There were hundreds or more in attendance. I made my way back to the front of the building and Das Gupta, President of the Bangladesh Puja Samiti of New York, invited me to visit the shrine downstairs and to break bread with them. We headed downstairs ... more to come about Durga Puja in Sunnyside - including photo slide show - at a later date. October 13, 2014 / Sunnyside Neighborhood / Queens Buzz. On Saturday afternoon I headed into Sunnyside Gardens Park to attend their annual Oktoberfest. As the neighborhood continues to attract younger families the event has grown in size and attendant events and facilities. This year seemed to be a continuation of that trend, as new rides were added alongside some of the old ones. It was a cold damp overcast day. The temperatures were hovering around 60 accompanied by an intermittent drizzly rain. But the weather didn't seem much to dampen the Oktoberfest attendance nor the spirits of those who attended. In addition to the rides, which this year included a kiddy ferris wheel, there was a beer bar, a number of arts and crafts vendors and a number of performers who entertained many of the kids and their parents. A photo slide show will be posted at a later date. September 1, 2014 / Sunnyside Neighborhood / Queens Buzz. Labor Day was signed into law by Grover Cleveland in 1887. The day was designed to commemorate the achievements of the American working class. At the time Labor Day was made a holiday, the union labor movement was growing in strength due to the abuses of laborers by their employers. At the time the nation was emerging as an economic powerhouse and mining, agriculture and manufacturing were the primary sources of jobs. Long hours, child labor and poor working conditions fed the desire of workers to unite to bargain collectively with their employers. Things have changed quite a bit since then, and agriculture which accounted for half the jobs and mining and manufacturing which accounted for another third of them, now collectively account for about 15 - 20% of the entire economy. America has become a nation of white collar and service workers. Unions lost a lot of popularity in the latter part of the last century - not just because of the changing nature of employment - but also because union pay was invariably much higher than that of non-union workers, and many of the union jobs were paid for directly or indirectly by the government [eg. government employees, teachers, air traffic controllers, highway & other public construction, law enforcement, military gear manufacturers]. Perhaps more significant was that as international trade tariffs were decreased or abolished; American companies began exporting American jobs to other nations where worker compensation was far lower, and workers' rights and collective bargaining were not well established. 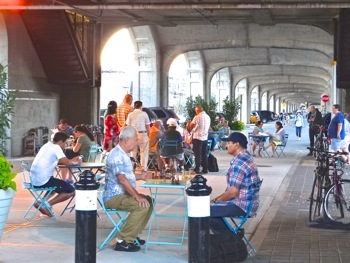 In the photo above a number of folks enjoy time off at a recently refurbished plaza underneath the subway line along Queens Blvd and 46th Street in Sunnyside. August 4, 2014 / Sunnyside Neighborhood & LIC Neighborhood / Queens Buzz. I attended one of the four Shakespeare in the Park performances this past weekend in Queens. 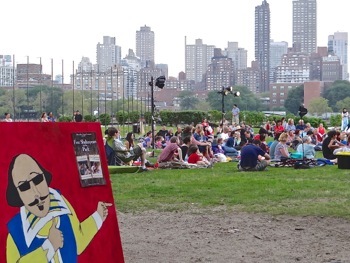 Two Gentlemen of Verona was performed in Cunningham Park on Thursday and in Gantry State Park on Saturday and Cymbeline was performed in Sunnyside Gardens Park Friday evening and in Socrates Sculpture Park in LIC on Sunday evening. Hip to Hip Theatre Company of Woodside was the theater company performing the 400 year old works which contain themes of love, friendship, greed, envy and (dis)trust that remain relevant to this day. The actors wear microphones connected wirelessly to speakers, so that the audience is now able to hear every word they utter. In the early years of outdoor theater this wasn't possible. Thus technology has made watching outdoor theater far more enjoyable, not to mention easier on the actors' and actresses' vocal chords so that this weekend four performances were possible without so much as hearing one hoarse voice. 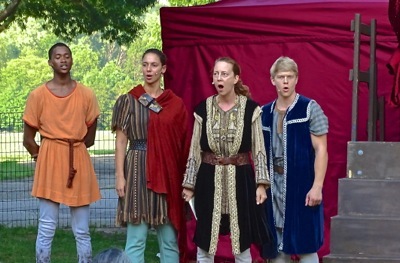 The free Shakespeare in Queens parks continues through the coming two weeks. July 20, 2014 / Sunnyside Neighborhood / Queens Shopping / Queens Buzz. Sunday was the grand opening of a new art and furniture gallery in Sunnyside. It was well attended by a number of local artists, photographers, musicians and prospective clients. 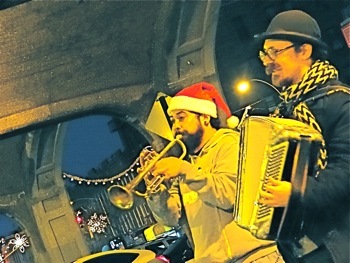 Queens musicians Smidge Mallone & Matthew Dallow were there to 'jazz' things up. And Murphy's Lobster Grill, only a couple of doors down, provided oysters to go with the wine that was being served. As it was a near perfect day and the opening was well attended, folks also gathered outside. Photographer Greg Stowell was in attendance, as several of his works were on display. And Ged Merino of Bliss on Bliss Studio of Sunnyside also stopped in to check things out. Ann Margaret O'Connor will be operating the gallery and store at 48-14 Skillman Avenue in Sunnyside. 917.832.6631. 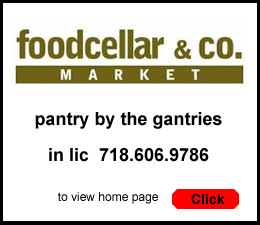 May 25, 2014 / Astoria LIC & Sunnyside / Food, Beer & Wine In Queens / Queens Buzz. I just returned from a very relaxing Memorial Day Weekend afternoon, spent out in the country, on a farm, enjoying a farm fresh dinner with a very laid back Queens crowd from many different walks of life. I didn’t leave the city. I didn’t even leave Queens. And in fact, I barely left Sunnyside. But I felt like I had gone many, many miles away; into the rolling green farmlands and golden sunshine of … well … rooftop Queens. I took the elevator up to the Brooklyn Grange, high atop the Standard Motor Lofts Building along Northern Blvd in LIC. It was like entering a tele-porter, that took me up and away from the city into Queens farm country. Edible Queens, a quarterly magazine about dining & culture, organized the dinner which is one of a series they’ve entitled Butcher Paper Dinners. They have planned and scheduled five more of these afternoon / evening dinners between now and October so you’d best rsvp if you’re interested because once word gets out about these dinners, tickets are likely to go fast. The afternoon consisted of sipping unique blends of local beers made in LIC and crisp golden Reisling wines grown and made in upstate New York; while sampling freshly cooked tasso beignets and boiled crawfish by one of NYC’s celebrated chefs. 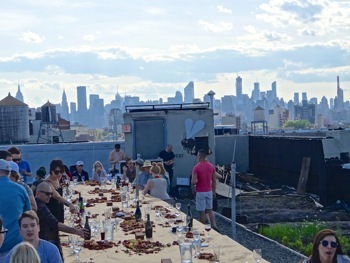 Click here to read more about the Edible Queens dinners at the Brooklyn Grange rooftop farm in Queens. May 20, 2014 / Queens Restaurants / Sunnyside Restaurants / Queens Buzz. I attended the New Taste of Sunnyside which was held underneath the #7 subway line at 46th Street in Sunnyside. One might think that this location could be distracting with the subway moving to and fro overhead, but with the live musical performances going on in the foreground, I didn't once - during the hour and a half that I was there - notice the subway overhead. 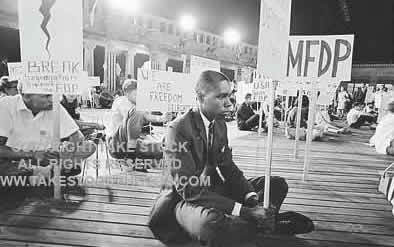 The crowd attending this event has changed over the years. This year the people in attendance seemed to be primarily in their 20's, 30's and 40's. In prior years, many of the attendees had already endured an additional decade or two of wear and tear. I was informed that there were well in excess of 600 paying attendees, and a number of additional tickets were distributed for business and charitable purposes. Rachel Thieme, Sunnyside Shines Executive Director, was the primary organizer supported by the Board including John Vogt, Chairman and Artie Weiner, Treasurer - all of whom are shown in the slide show included in this report. 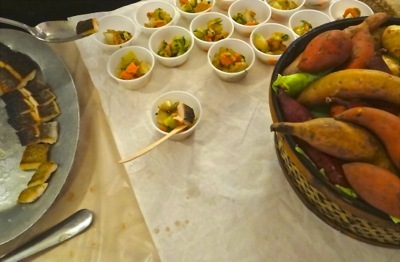 Click here to read the rest of our report including a slide show of photos of Taste of Sunnyside 2014. February 7, 2014 / Sunnyside Neighborhood / Queens Buzz. There's a benefit / fundraiser planned for Monday, February 10th at Murphy's Lobster Grill on Skillman Avenue at 49th Street in Sunnyside. The event is in honor of Luke Adams and scheduled to run between 5 and 8 pm. The Sunnyside Artists Organization is sponsoring the event which is open to the general public. Luke has been an avid Sunnyside community supporter for longer than most of us have been alive. Patricia Dorfman, Luke's friend and also an active member of the community herself, wrote the following piece about Luke's contributions to the community and current situation, to help promote the fundraiser. The photos were shot and added by Queens Buzz. 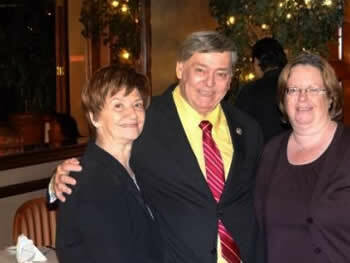 In the photo at right, NYS Assemblywoman Cathy Nolan with Luke Adams. 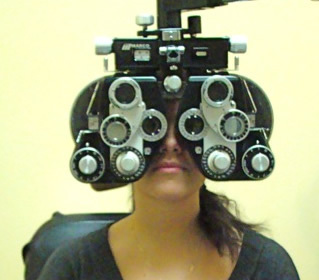 Click here to read Patricia Dorfman's story about Irish Eyes in Sunnyside, the Luke Adams fundraiser on February 10th at Murphy's Lobster Grill from 5 to 8 pm. September 30, 2013 / Sunnyside Neighborhood / Film in Queens / Queens Buzz. 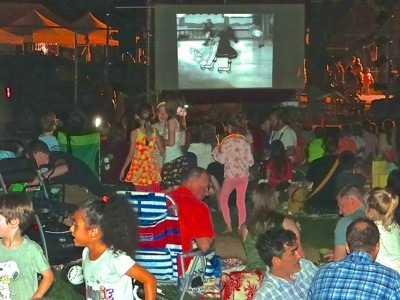 Saturday night, in the neighborhood of about one hundred kids and about four hundred people in total, descended on Sunnyside Gardens Park for a soiree of food, fun and flicks in the garden. The event was hosted by Sunnyside Gardens Park and open to the general public. There was make-up, crafts, dance, food and flicks. The event was emcee'd by Ty Sullivan, the local tall, slim and very red mad hatter. Ty seemed to have a knack for getting the kids worked up over great cartoons like Betty Boop and Jack Frost. Like last years presentation of Flicks in the Garden 2012, Tommy Stathes provided the cartoon films. I arrived a bit after dark and had missed some of the fun, but quickly found a general willingness to share it post facto. 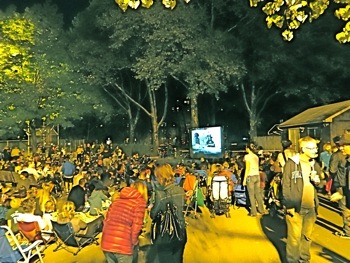 Click here to read more about Flicks in the Garden in Sunnyside Gardens Park in 2013, including photo slide show. 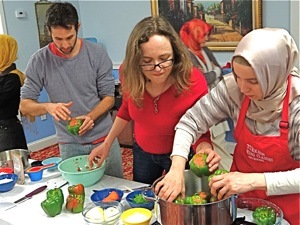 Click here for our report with photos of Turkish cooking classes in Queens. Site Search Tips. 1) For best results, when typing in more than one word, use quotation marks - eg "Astoria Park". 2) Also try either singular or plural words when searching for a specific item such as "gym" or "gyms". 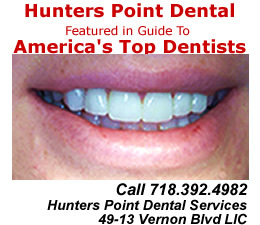 Click here for the Sunnyside / Woodside Business Directory. 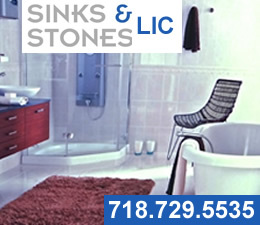 Click this link to search for something in the Woodside / Sunnyside Business Directory containing over 1,000 listings. 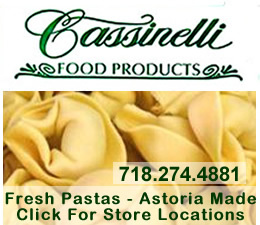 Click here to view the home page of one of the leading bakeries in Sunnyside area. Hi, there's a pretty big Turkish community in Sunnyside including the Turkish Cultural Center in Queens. Use the seaerch function on this site. You can also use the search function to find the advertisements of a number of realtors in Queens, including one in Sunnyside. And you may also use the Business Directory which is located on the front page on the right side bar to find realtors and most other things for which you're looking. hi,i'm not sure how to go about this, but i am trying to help a friend. she emigrated to the USA 4 yrs.ago from turkey and would really love to live in a turkish community in new york. she is married with 2 young children and speaks good English. can you recommend a good neighborhood for them to relocate to? any other resources you can think of would be appreciated!